The Gyspot INVERTER BP.LCX-S7 product is a real advance in the field of spot-welding equipment. The Gyspot INVERTER BP.LCX-S7 product is a real advance in the field of spot-welding equipment. 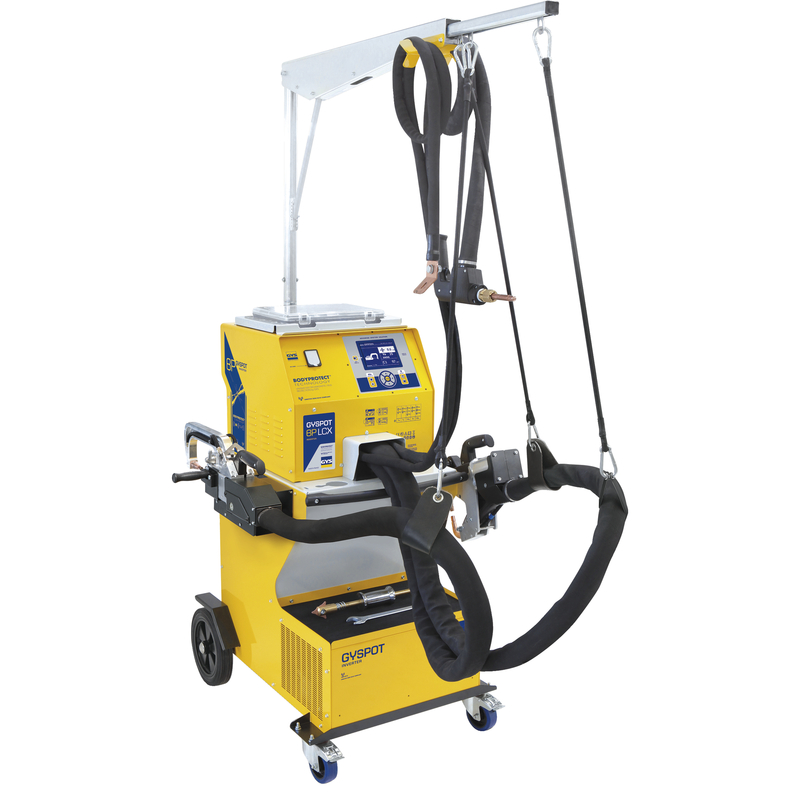 This machine is the ideal answer to the welding requirements of high strength steels (UHSS/boron steel), with 550 daN electrode arms force at 8 bars and 13 000 Amps welding current. The GYSPOT BP.LCX-S7 is equipped with 2 clamps (X and C). It is a multifunctional welder, thanks to its water cooling system on both clamps. This machine is fully compliant with the European Directive 2004/40/EC.